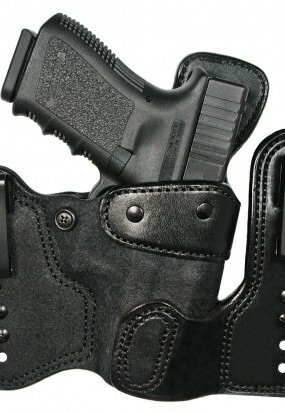 The Double Jeopardy is the most versatile IWB holster we manufacture. 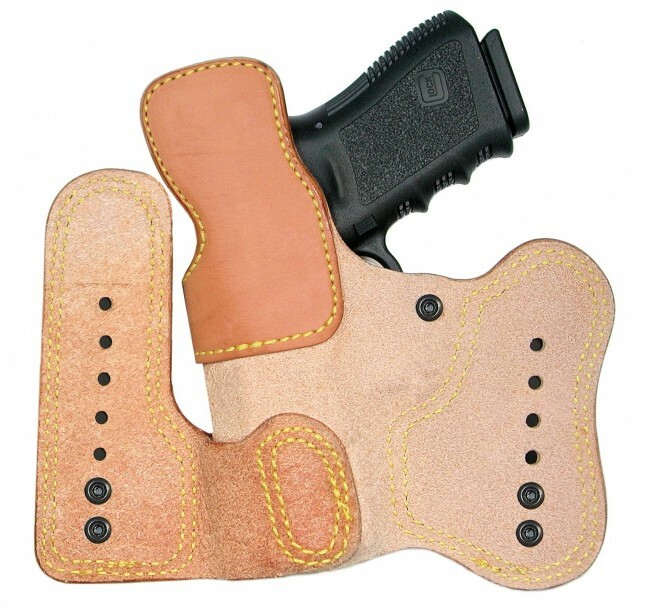 The recommended carry positions to wear this holster are 10, 11, 12, 1, 2, 3, 4, 5. 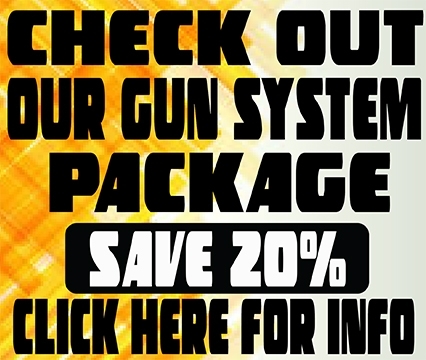 It is worn inside the pants for superior concealment and is molded to the gun you order it for. 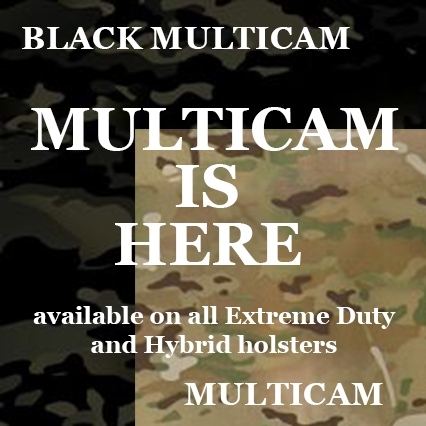 It features extreme duty, dual reverse J clips that are fully adjustable so the user can set carry height and cant for any situation. Special proprietary hardware is used so the screws will never back out, "when installed correctly by the user." We also went an extra step in designing a two hole attachment point in the clips, instead of the usual industry standard one hole attachment you commonly see. Two attachment points on each clip provide more stability and makes it much more secure. 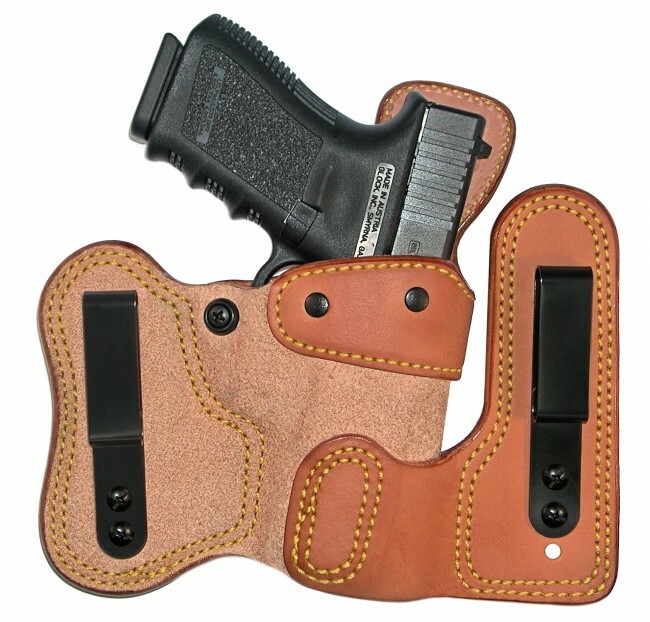 The clips can be positioned on the outside of the leather to maximize the tuckable feature (as pictured) or can be positioned thru a hidden tab we designed on the inside of the leather to be used as a standard inside the pants holster. (Click here to see that picture.) The unique independent right side wing allows the holster to easily flex and form to accommodate different body sizes and shapes. 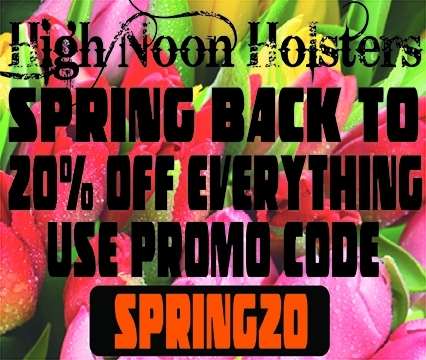 This holster features combat grip accessibility, necessary for speed when drawing, rough side out design for additional grip to the exterior, leather lining on the interior of the holster for a super slick draw, a synthetic reinforced holster opening, that is crush resistant for one handed reholstering and all steel dual reverse J clips that lock onto the belt or most pants. 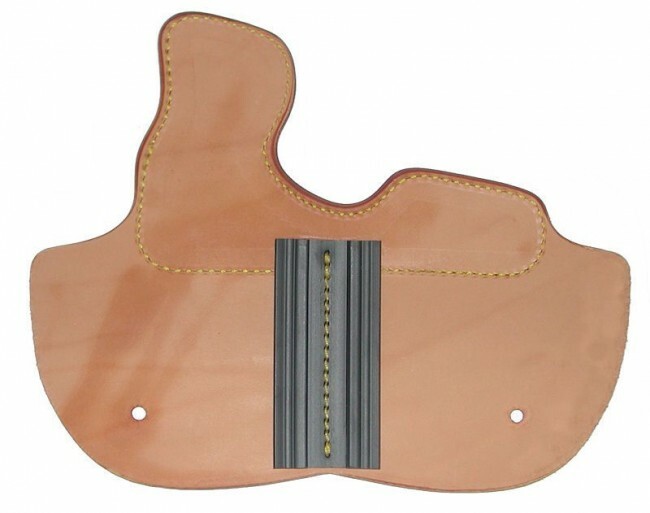 Additional features are an open muzzle design, stitched in sight track, tension screw for adjustment of the draw and a slide guard which prevents the slide, hammer and sight from wearer contact. 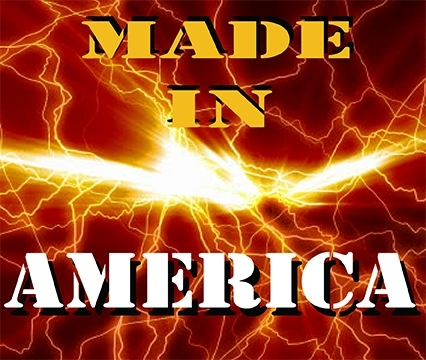 It is made to fit 1 1/4" - 1 1/2" belts and is available in right or left hand, black finish.